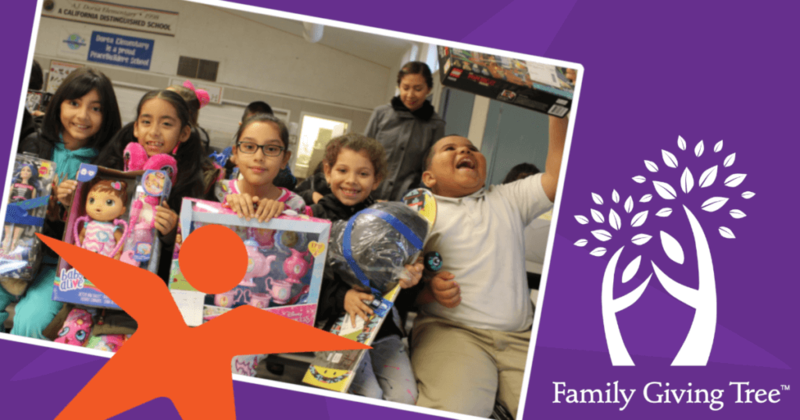 This year Pacific West Gymnastics is working with Family Giving Tree to fulfill holiday wishes and provide gifts for the children and individuals in the Bay Area who are most in need. For their annual Holiday Wish Drive, Family Giving Tree has set a goal to fulfill holiday wishes and give gifts to 80,000 local children, adults and seniors in need. Both Pacific West Gymnastics locations will be participating this year and we are excited to contribute towards their goal! If you would like to participate, you can choose one, or more, Wish Cards from our Christmas Tree, on display in the lobby. Next, you’ll purchase the gift and return it with the Wish Card attached. The donated items are then delivered to Family Giving Tree headquarters where volunteers distribute the gifts the individuals in need. All gifts are due back by December 8. Each Wish Card has the age, gender and “Wish.” All Wish Gifts cost between $25-$40. ← School Closed, No Problem – Kids Activities at Camp Pac West!